Supreme Foresight, Do You Need A Miracle...??? I have offered information from the Highest Knowledge and Wisdom of the White-Light for a few decades now. These messages come from beyond the beyond and are meant to help anyone in need. Intuitive Clairvoyance & Spiritual Counseling is my life's calling since the first breath I took. In my private practice I do one-on-one Spiritual Counseling and Self-Improvement events and retreats traveling the world. I am honored and privileged to help you raise your vibration and shine the light of Divine Love, Eternal Prosperity, And Well-Being. I always had a special gift to prepare me for my life's work, which is helping others, ending your suffering, and showing you the way to a great purposeful prosperous life. I quiet my thoughts and feelings and reach up high connecting with the White Light (vibration) and an overwhelming feeling of Love comes flooding into me. 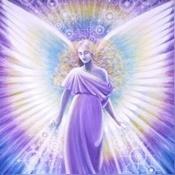 Aligning with the Higher Power I receive messages for you and I speak and share with you what was given. Following the advice, you will clean up your vibration and consequently your life will change for the better until you are happy and content. thank you for a reading. you were right on point making me aware about being excited about my business. re-creating the energy. you are so right. hope for miracle and blessings to come. will let you know! Very nice call. She gave me detail of the POI. We Are An Infinite Intelligence From The WHITE-LIGHT-REALM"
"We Are Here To Love You And To Serve You"
"FEEL OUR LOVE FOR YOU"
We come forth from the non-physical, beyond the beyond, and from eternal expansion. We bring you delicate information for you personally as well as for your surrounding physical friends. Our messages are pure and meant to create a "gentle vibrational adjustment" in you so that the following manifestations will align with your soul and match/create your happy, healthy, and prosperous state of being. You are eternal beings, everlasting expressions of Source (Universe, God). There is no separation other than your own limited awareness. There is only eternal life and everlasting love. "Fear Not - For We Are With You Always"
into your purposeful alignment with what was always meant to be. 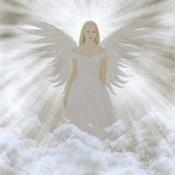 We Speak Through And As One Of You, Named "Clarity"
And May The White Light Bring You Miracles Beyond Your Imagination. White Light Clarity has been a user of Keen since 2009. Getting Life Questions advice from White Light Clarity through www.keen.com is safe, secure and confidential.